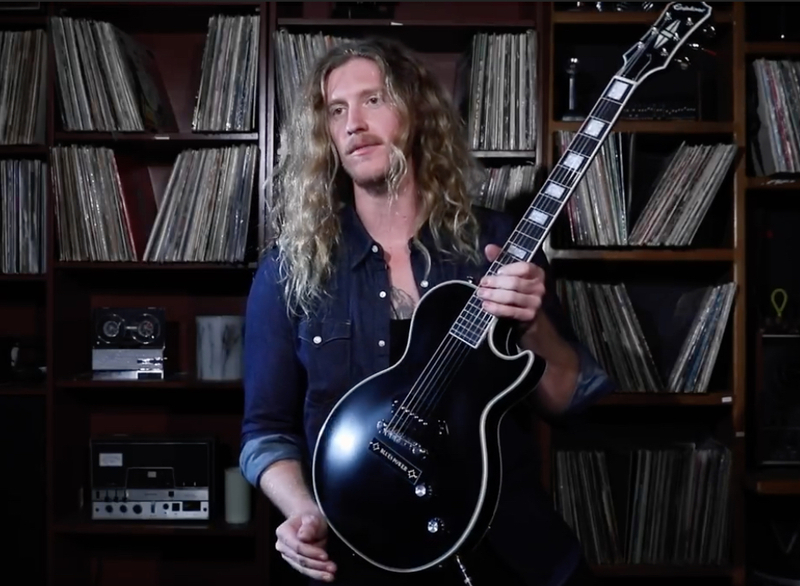 This summer, don't miss Epiphone's newest Signature Artist Jared James Nichols in action with his Ltd. Ed. Jared James Nichols “Old Glory” Les Paul Custom Outfit. Jared, who grew in Les Paul's hometown of Waukesha, Wisconsin, is one of the boldest and most exciting guitar players around. And you won't ever see him playing with a pick! Jared will hold a guitar clinic at the Sam Ash Music Store in San Diego on Saturday, April 13 and play Brick By Brick with John 5 on April 14, the last gig of their two month tour. In July, Mr. Nichols will head over to the UK for shows in Reading, Newcastle upon Tyne, Leeds, Manchester, Norwich, and Glasgow, Scotland. Read our exclusive interview and check out “Old Glory” at your nearest Authorized Epiphone Dealer. "Old Glory" features a classic 1955-style Les Paul® Custom body with a single Seymour Duncan™ P-90 pickup, an Ebony fingerboard with traditional block inlays, Grover™ tuners, and an EpiLite™ case along with a signed Certificate of Authenticity. Jared's Les Paul is based on a similar LP Custom loaned to him by legend Joe Perry of Aerosmith.